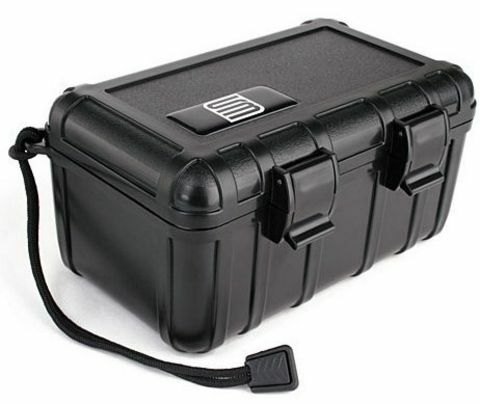 The S3 2500 case is foam-lined, watertight, hard-sided and airtight (it floats!). This patented drybox is designed to handle full submersions. High impact ABS. Made in USA. Lifetime guarantee. Case contents are not warranted. Cases should be tested prior to submersion to ensure seals are properly cleaned and latches will securely close. All cases conform to MIL-STD-810F Transit Drop Test and Immersion Test and SAE J575 Dust Resistant Test. Inside Dimensions 6.00" x 3.41" x 2.77"
Outside Dimensions 6.47" x 4.13" x 3.26"